Olivia Pratt, Molly Seidel, Ian La Mere and Drew Bosley will also represent Team USA on various levels! I am ecstatic that there is so much Wisconsin representation going into this meet. However, I am concerned with Drew Bosley. 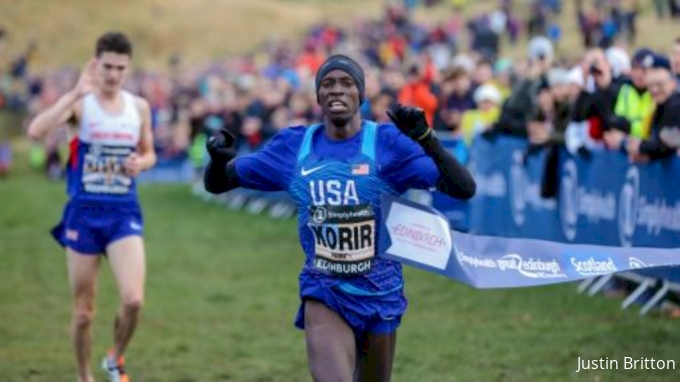 On the human side, it is hard to criticize him for using cross country to gain an overall learning experience and exposure to a different society. From the competitor’s perspective, it just seems like his spirit may be dampened by June because he didn’t take an adequate rest. Both Hacker and Finn made similar treks and it hurt their enthusiasm later in the year. I think Hacker had 4:06.5/8:52 in him to match the heights of his Uncle Steve (4:06.5/8:55) and Dad (4:12/8:52) in high school. But that January meet, no matter how much you say you’re going to train through it or not care deep down you will. Running from August to December and once in January makes for a long season of focus and is too short of a period before March to wind down. Finn hit one out of the park last April at Arcadia with his 8:47 but we maybe lost a 4:09/4:10 and then down the stretch he looked stressed and exhausted. Specifically I mean the state meet. By the time he got to the 3200 he just wanted it to be done and the same happened last year. After all the build up to chase Rombough’s state record he looked jet lagged and had late season Pinkowski and a young sophomore Meinke who were too close for comfort. Moreover, had Drew Bosley been healthy who knows what would have happened there. As hard as it is to fathom Drew may have been a sub-9 candidate last year. The solution here is to do something different than Hacker and different than Finn. What would be so bad about him not racing until the first week of April? Hopefully he bypasses Arcadia otherwise it will maybe be Finn part II. That and I am not sure if this year’s chase pack is that far behind in a 3200 or 1600. One of these juniors not named Drew Bosley is probably going to run 4:11 or faster. Caleb Easton and Rowen Ellenberg come to mind. Senior Schiek is clearly not afraid to run fast either and seems to have elevated his status in the transition to North. @zen I wrote a similar post also questions why this freaking race again and questioning if he quit hoops etc and then deleted it and I will tell you why. 1) so many national top cross runners go straight from cross to track and run strong from a competitive indoors all the way to outdoors. Most of them seem to hold on at the elite level. 2) Bosley has his dad to make sure he isn’t trying to peak for this race. He can run solid off a base and have an amazing experience. I wish someone would pay for me to go to Europe and have fun etc. given he will be running year round in college it’s a great opportunity and maybe it’s better to rest after senior year than junior year. He will be with better guys also so he can learn as he may be one of the weak legs if that’s possible so not a ton of pressure. Lastly our sample is too small. Olin really did not compete well most of his senior year and I’m guessing he was either sore or just wanted state titles and ready to move on. (Small case of senioritis for an elite athlete). Finn was amazing in track until he wasn’t 8:48,4:12 early in the season. 1:57 800 indoors. We told him to do speed work maybe he did too much or maybe he was sick that’s what he said happened. He still ran a great 2600 at state and held on. Because I was injury prone I right away (and maybe competing too much and too hard for the Milwaukee striders in the summer) want to declare with bias this is a bad idea but I dont recall Andy having injuries and now that drew gave up basketball if he does it right I don’t think it needs to be a negative outcome as Olin and Finn may have had their own issues and if you look over the United States right now many top cross guys are running hard track races almost every week already where Bosley will have a short season and unless he runs the 800 very few races that are competitive. Kids this age do need to experience life, if he competes in Europe vs doing drugs or whatever else I think his coach can manage him through the experience without a negative outcome. Andy is very smart about not over training and if anything as an athlete he undertrained so I expect this to be a fun event for drew and a non event for his track season. Note if drew is fighting for a full ride he may have to break 8:50 in Arcadia as a junior given how competitive these full rides seem to be according to @maryss and make it so wisconsin is forced to compete to get him although I still believe (potentially due to ignorance) their is “money” out there for elite athletes in other buckets. It all depends on short term and long term goals. Hacker and Gessner fell behind their peers and may never catch up. They were both near the top of their classes on a national level at the end of xc during their senior years. Don’t forget Chris Solinski followed a similar path and ran 8:40 something at Arcadia and never came close to that again in high school. Chris could have had the state record in both the 1600 and 3200 but ended up with neither. I supposed it depends on whether you want to shine on the national stage early or set record in your state in June but I am not sure you can have both and if these tremendous athletes here discussed were not able to do it then I would definitely put it down as a question mark. To me the only value in the Scotland trip is seeing another part of the world and broadening yourself by seeing what other athletes from around the world can do. If you think it is setting you up for a great track season I think maybe you should think again. Just one old guys opinion that’s all. First it was incredibly hot that weekend. Chris had to run 800 prelims and came thru in 122 and ran 155 in prelims. Ran to just win the 3200. Went for the 16 record coming through 1200 in 301 and faded to 405. Then he lost to a future 337 1500m runner. I am interested to know how the Edinburgh team is picked. Do they offer it to the top finishers from both NXN and Foot Locker and just go down the list until they fill the team? It would have been nice to see Aidn Troutner and Brody Hasty’s names on the team too. At the moment, Drew Bosley is on a different path than Olin or Finn. Obviously, a win at NXN or Foot Locker is incredible but Bosley’s dual 7th place finishes at both races is pretty sweet too! To do it as a junior is incredible! I don’t see how he could say no to the Edinburgh opportunity to continue his amazing season. As @Goforthewin said, the pressure level may be lower for him because he is a junior. It wouldn’t shock me to see him finish first among the USA team. We have seen a history of Wisconsin kids stepping up strong at championship meets. @zen raises valid concerns regarding Bosley’s upcoming track season. However, I think Drew will do great. Perhaps he skips the entire indoor and beginning of the outdoor season to ensure the proper rest is taken. This would set him up to peak after State at national track meets like New Balance. I don’t know how that kid gets to sleep at night or for that matter, Andy too! This has been an amazing season for the Bosley family to enjoy!